SAN DIEGO, CALIF. – Freeline Sports, Inc. announces a new product that combines elements of skateboarding, snowboarding and surfing. Freeline Skates are dual independent skates that offer riders more freedom and flexibility than the traditional skateboard. For all styles of athletes looking to push the envelope, these skateboard-like decks take “street” and “vert” riding to the next level. When living in San Francisco, Ryan Farrelly was looking for a better way to ride downhill on his skateboard. After overhearing a conversation about an inline skateboard, he constructed the original prototype with one row of four wheels centered in the middle of the board. While adapting the board to include only two sets of two wheels, Farrelly soon realized he could stand on each wheel without the board. After creating multiple Freeline Skates prototypes, Farrelly finalized the design with reinforced swing style arms that withstand 3,000 lbs. of downward force. For the first time in action sports history, athletes can make use of their snowboarding, skateboarding, and surfing skills without buying lots of expensive equipment or living by the ocean or the mountains. Freeline Skates are available at www.freelineskates.com for $134.00. Check out the web site for cool demos on how to use the product with helpful step-by-step tips from the inventor himself. Founded in 2003, Freeline Sports, Inc. is a company based on the revolutionary Freeline Skates line developed by Ryan Farrelly. 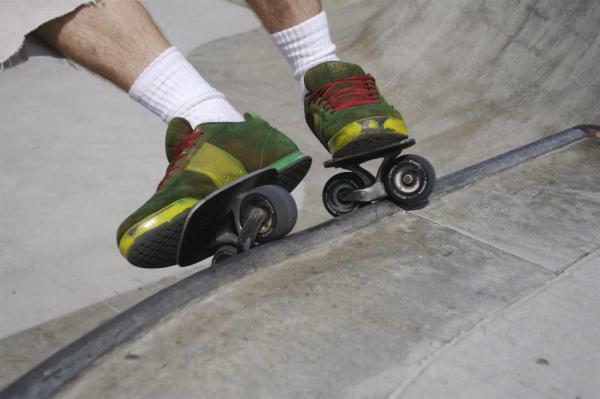 The Freeline Skates concept was originally developed as a way to improve the uphill and download performance of a skateboard. After separating the skateboard deck into two individual skates, a brand new sport was born. Utilizing their skateboarding, snowboarding, and surfing skills, Ryan Farrelly and friends began to develop new techniques and tricks specifically for the Freeline Skates. Freeline Sports, Inc. has distributors and riders in almost every major market around the world. 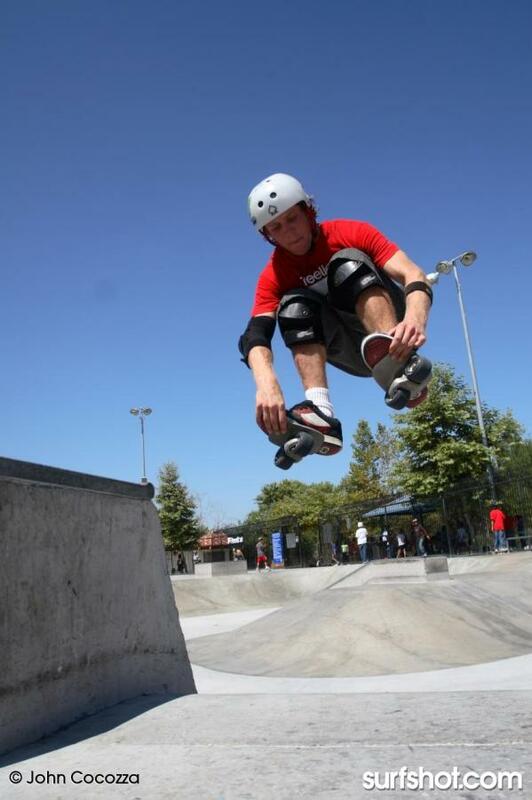 For more information on Freeline Sports, Inc. and its products, please visit http://www.freelineskates.com. This entry was posted in Product News, Surf News . Bookmark the permalink. FreePB.org Fundraiser & Beer Connoisseur Contest!